Through Petals Flowers Hobart, Tasmania you are able to send a huge range of premium quality flower bouquets, arrangements, roses, and more to be delivered to Hobart and Hobart's surrounding areas and throughout Australia. Beautiful flowers delivered by local florists to Hobart! Ordering through online for a fresh flower or gift basket delivery to Hobart is quick and easy! Choose your gift from a wide range of bouquets, arrangements, potted plants and gift hampers... and have your gift delivered on the same day that you place it! Send your order for Hobart before 2pm (Mon to Fri) and 10.30am (Sat) for guaranteed same day delivery! Did you know that we have been delivering fresh flowers and gift baskets to Hobart and around the world since 1992 and is the ONLY florist network to operate in New Zealand, the United Kingdom and Australia from the one location? Our staff are also extremely experienced in helping people with their orders... what to choose... what's the best for delivery to a cetain area... which flowers to use for a specific occasion... the list goes on! We have has always valued the personal customer contact that comes with working in an industry for years. Order your flowers or gift basket online or call 0508 PETALS or 0508 738 257 today! Petals Network has a network of over 1000 florists Australia wide to provide you with beautiful fresh flowers delivered same day. If you want to send flowers online to the Hobart area, we will have a local Hobart florist deliver the freshest flowers available to the door! We have a wide range of flowers, roses, bouquets gift baskets and arrangements to suit any occasion including a birthday, an anniversary, a new born baby, romance, sympathy, funeral, natives and flowers just to say thank you. If you want a local florist near Hobart to deliver the freshest flowers to Hobart. Need a florist in Hobart Australia. in Petals is a leading online florist in Australia. We have a number of nearby florists servingHobart. That means you can get fresh flowers delivered to Hobart easily. Our flowers delivered to Hobart will always be delivered by a local florist. 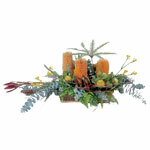 Its easy to send cheap flowers to Hobart. We have flowers for all occasions at Petals Network Hobart. Petals has a network of florists serving Hobart, Tasmania. All Petals Network florists serving Hobart are qualified. Our florists will make delivery of flowers to Hobart, Tasmania. Need gifts to Hobart? Visit Petals Network's gift web site, . Send gifts to Hobart, Tasmania with Grumleys. Grumleys has a large range of gifts for all occasions including birthdays, anniversaries, celebrations and new baby congratulations.